The four training modules take you through a sequence of ideas and activities. The materials are designed to be used flexibly. They can be used individually by teachers and trainee teachers. Or they can be adapted by teacher trainers. Wherever you start you may find the glossary button helpful, as the key ideas have particular meanings which have been translated into languages other than English. Each module is self-sufficient and adapatable. Explanations are provided. All have links to external sources, including videos and readings. 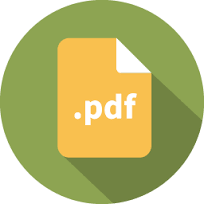 The modules have downloadable materials which can be adapted for local use. Use the materials flexibly and in ways that suit your purposes. Teacher trainers may use videos or downloads to complement and integrate into their own programmes. Here are some some practical suggestions to get you started, designed to introduce teachers and trainees to the main ideas. This workshop has been used successfully with teachers in several different countries. Following this workshop, teachers can be asked to select a specific idea, text, graphic or topic they use in their teaching. They then write a powerful knowledge vignette. Use the template in Module1. Teachers are reminded that a Future 3 curriculum is meant to help students acquire powerful disciplinary knowledge (PDK). This workshop explores the practical implications for teachers. It shows the importance a well chosen curriculum artefacts, especially those that can be used as sources of data for interrogation and discussion. This workshop has been used successfully in different countries. We estimate several hundred teachers have experienced this workshop activity as a means to think about ‘curriculum making’. Module 4 has many options: it is a rich resource for trainers to use and adapt. The key aim is to build the idea of curriculum leadership and the main activity this one. Module 4 begins with a summary of the main ideas that underpin GeoCapabilities. Partners have attempted to express the main ideas as a mind map which we present here. It would be interesting to compare this with mind maps created by new teachers, or experienced colleagues, in your locality. Although there is a box named ‘curriculum leadership’ within the mind map, the case could also be made that the contents of the mind map as a whole all contribute to curriculum leadership. 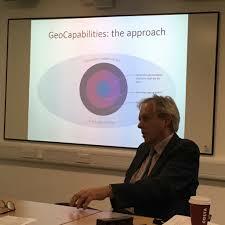 GeoCapabilities is not a straightforward idea. Some of the ideas demand deep thought and reflection. Some teachers may welcome the opportunity to acquire certification to show that they have participated in the GeoCapabilities modules. You can, therefore, download the adaptable certificate. Hopefully this will also encourage continued deliberation about the value of geography in a Future 3 curriculum. Click on the Certification button.